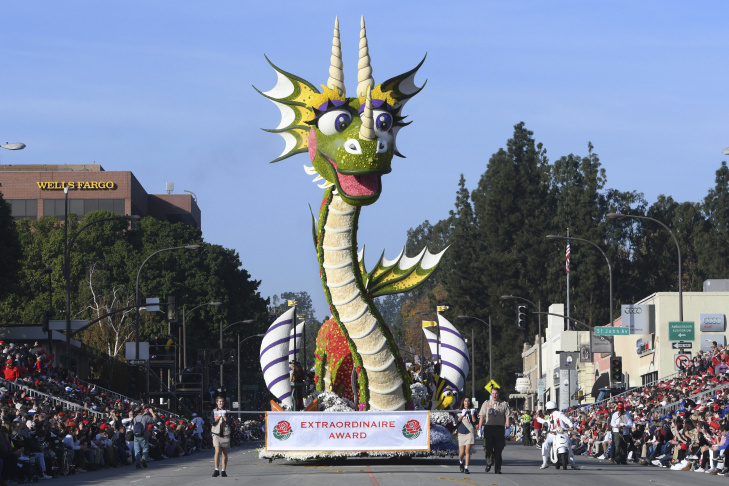 The Sierra Madre float won the Fantasy Award at the 129th Rose Parade in Pasadena, Calif., Monday, Jan. 1, 2018. 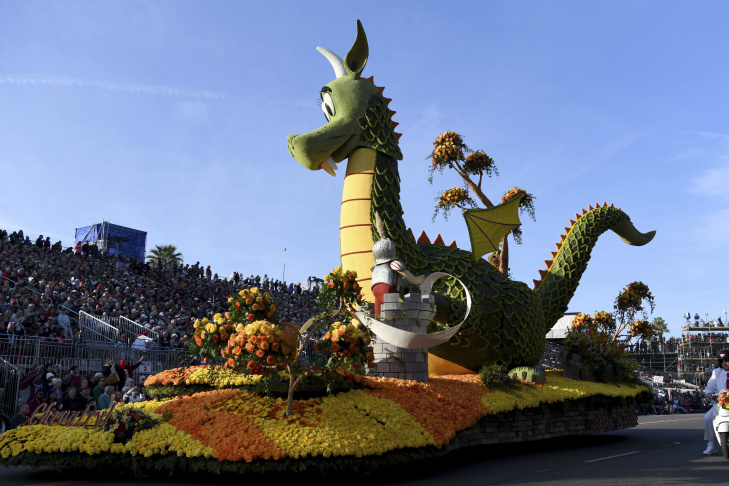 The Singpoli American BD float makes its way along the parade route at the 129th Rose Parade in Pasadena, Calif., Monday, Jan. 1, 2018. The float won the Sweepstakes Award. 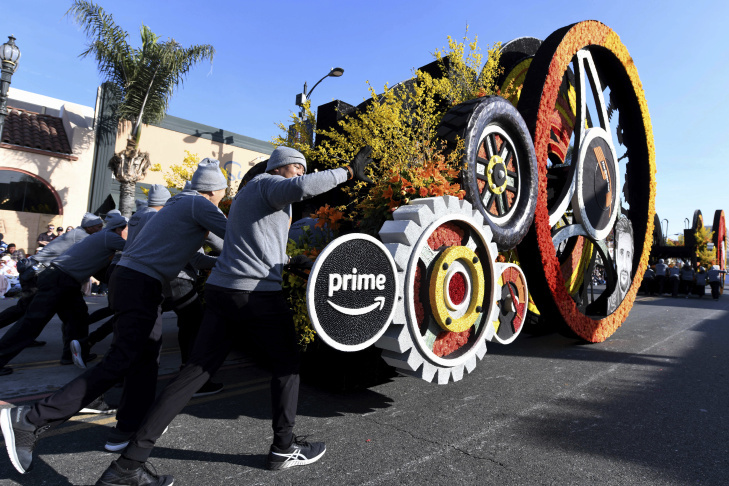 The Amazon Prime Original float is pushed along the parade route, winning the Crown City Innovator Award at the 129th Rose Parade in Pasadena, Calif., Monday, Jan. 1, 2018. 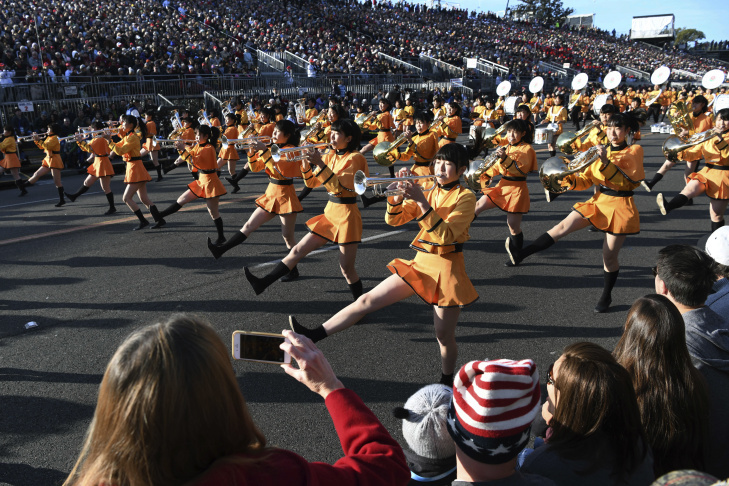 The Kyoto Tachibana High School band, of Japan, performs at the 129th Rose Parade in Pasadena, Calif., Monday, Jan. 1, 2018. 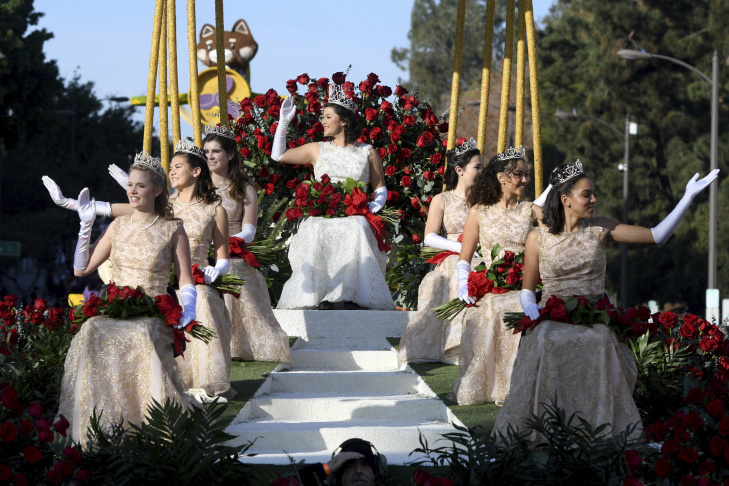 Rose Queen Isabella Marie Marez, top, and Princesses, clockwise from lower left, Georgia Jane Cervenka, Sydney Grace Pickering, Julianne Elise Lauenstein, Alexandra Marie Artura, Savannah Rose Bradley and Lauren Elizabeth Buehner ride on their float at the 129th Rose Parade in Pasadena, Calif., Monday, Jan. 1, 2018. The UPS Store, Inc. float makes its way along the parade route at the 129th Rose Parade in Pasadena, Calif., Monday, Jan. 1, 2018. The float won the Extraordinaire Award. 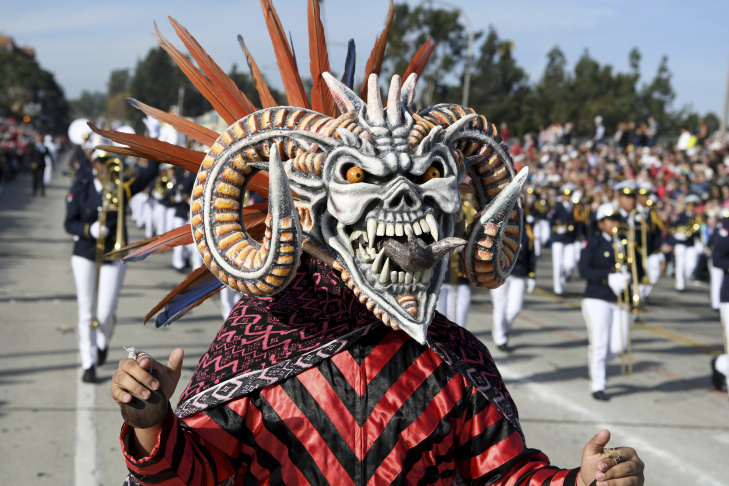 Banda de Musica Heriberto Lopez, of Panama, performs in the 129th Rose Parade in Pasadena, Calif., Monday, Jan. 1, 2018. The 129th annual parade got started Monday in Pasadena with an announcement by the grand marshal, actor Gary Sinise, and a military flyover. Among the parade-goers lining the streets was South Pasadena resident Margarita Resendez, who told KPCC she has attended the Rose Parade for the past 17 years. 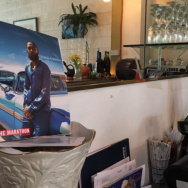 "This is a tradition for me," Resendez said. 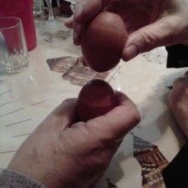 "I always come every year. It's the thrill, the blood rushing — it's exciting. It's beautiful, the flowers." About 800,000 hours of manpower goes into producing the famous New Year's Day parade from start to finish. The China Airlines float makes its way along the parade route and won the International Award at the 129th Rose Parade in Pasadena, Calif., Monday, Jan. 1, 2018. 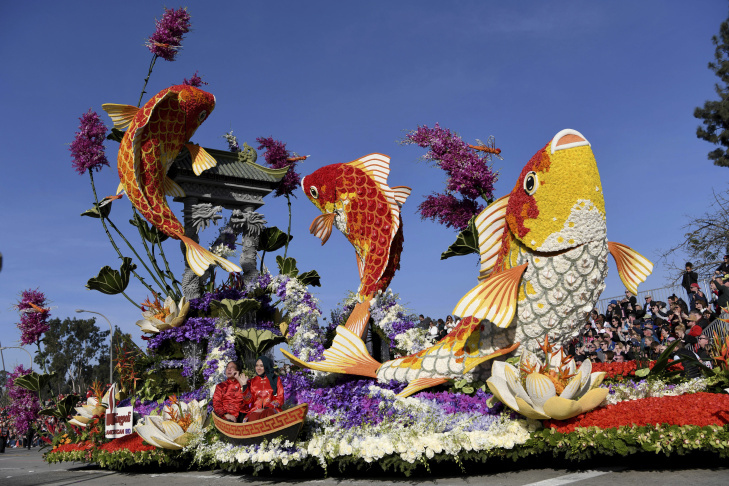 One of the 39 floats was an award-winning entry from China Airlines featuring a scuba diver floating above fish and a coral reef. 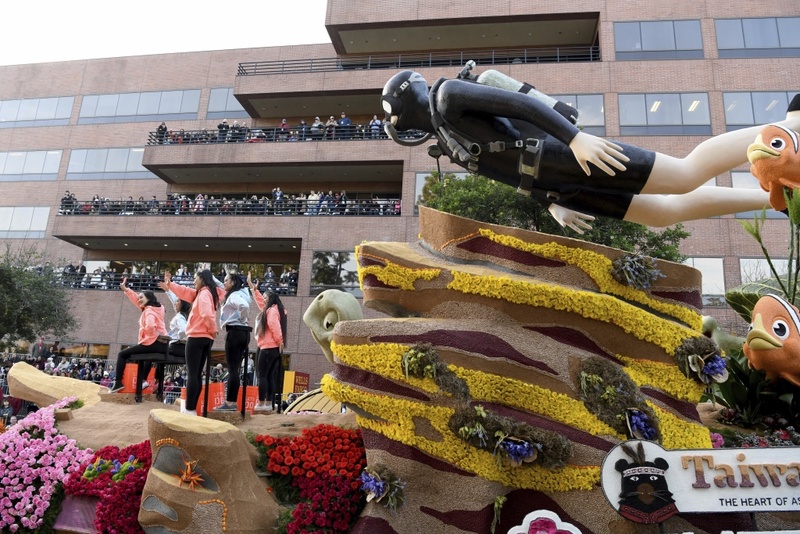 The Trader Joe's float, which had fold back to get under the 210 Freeway at the end of the route, won the Showmanship Award. There were blue skies with just a few wisps of clouds and temperatures were expected to reach the 70s after a chilly night. 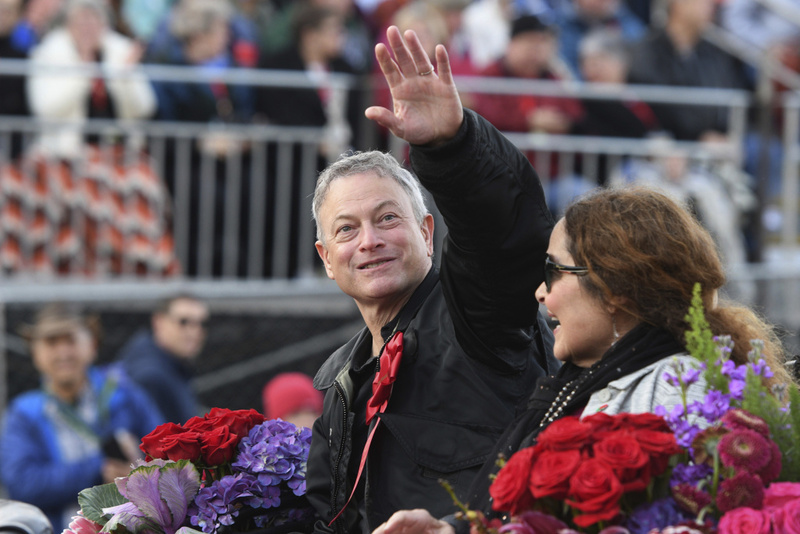 The theme of the 2018 parade is "Making a Difference" and Sinise was chosen to lead the proceedings because of his devotion to veteran's issues. Grand Marshal Gary Sinise waves to the crowd at the 129th Rose Parade in Pasadena, Calif., Monday, Jan. 1, 2018. 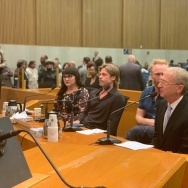 Sinise, who played Vietnam vet Lt. Dan Taylor in 1994's "Forrest Gump," said when he was picked that he was happy to serve as grand marshal because of the vets he seeks to help. Spectators started lining the 3.5-mile route on Sunday, many of them camping on sidewalks and braving overnight temperatures in the low 40s. 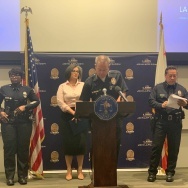 Pasadena Police Chief Phillip Sanchez said there were no known threats to the parade, but fan safety would remain first priority and security would be tight. 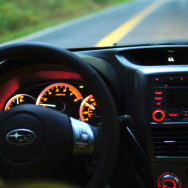 No major problems were reported. 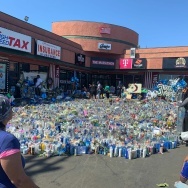 There were a handful of arrests, mostly for public intoxication, police said. 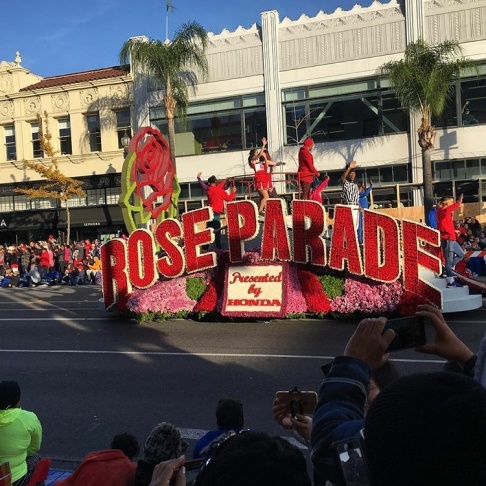 The 104th Rose Bowl was scheduled later in the day just a few blocks away from the parade. The bowl will feature a College Football Playoff semifinal between Oklahoma and Georgia.